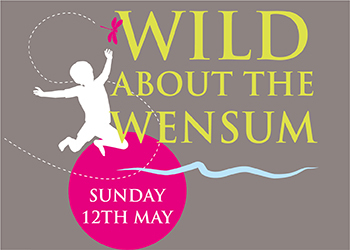 This will be the 13th annual Wild about the Wensum event, run by Pensthorpe Conservation Trust and will be bigger and better than ever! Since the first event in 2006, we have introduced and shared this small part of the Wensum Valley to more than 25,000 people. Our aim is to encourage visitors that may not have otherwise understood the importance, diversity and wider relationship of the Wensum to their local landscape. It is a major achievement that so many people leave with a better knowledge of the numerous organisations that work tirelessly to promote, protect and enhance this rather special river. * There will be an additional charge for our indoor play area, Hootz House, which is £2 per child with one free adult per child. Additional adults who wish to enter Hootz House will be £2 per adult. * We will be running hourly time slots in Hootz House starting at 10am, with the last slot finishing at 5pm.